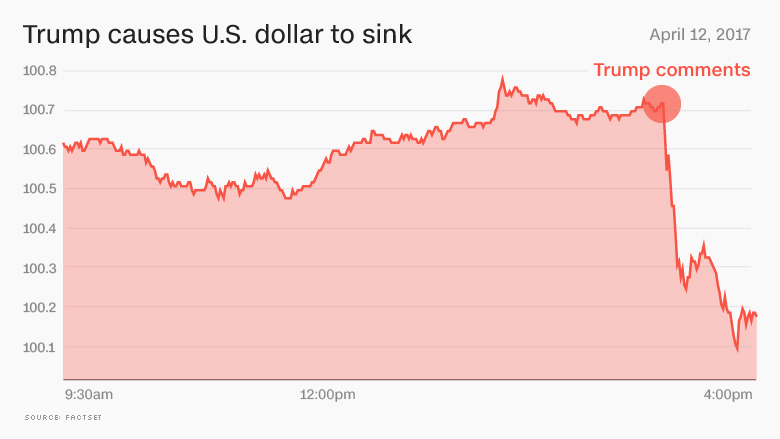 President Trump caused the U.S. dollar to slump Wednesday. The dollar dropped 0.7%, a major move, after Trump told the Wall Street Journal that the dollar is "getting too strong." "I think our dollar is getting too strong, and partially that's my fault because people have confidence in me," Trump said. "But that's hurting -- that will hurt ultimately." But now the dollar might be getting too mighty. The president is worried that US businesses, especially manufacturers, won't be able to compete. American goods are more expensive relative to European or Japanese products when the dollar's value is too high. "It's very, very hard to compete when you have a strong dollar and other countries are devaluing their currency," Trump said. On the campaign trail, Trump frequently slammed China for purposefully weakening its currency, the yuan, to make its goods cheaper on the world market. He vowed to label China a "currency manipulator" on Day One of his presidency, the equivalent of saying that China cheats. That didn't happen, but the president continued to talk tough on China. 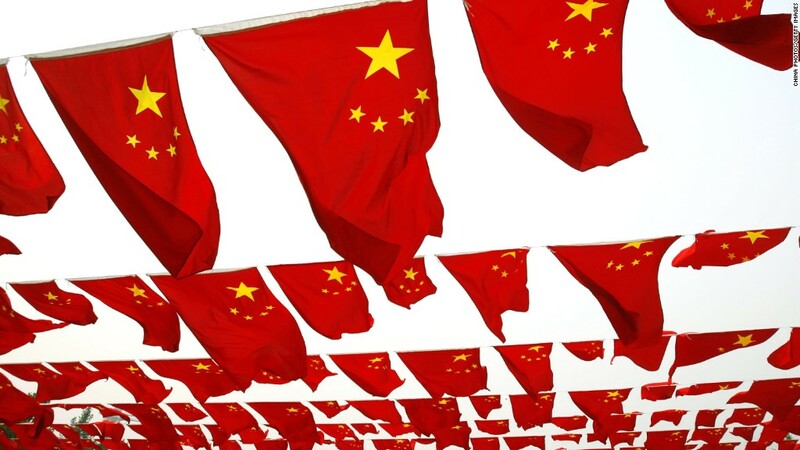 In early April, he called China the "world champions" of currency devaluation. "They're not currency manipulators," he said Wednesday. The U-turn in the president's stance comes mere days after Trump and China's President Xi's first big meeting. The two countries are trying to work together to keep North Korea from launching missiles. Trump also acknowledged that China is no longer manipulating its currency, at least not in a harmful way to the US. China has actually been attempting to prop up the yuan lately so wealthy Chinese investors keep their money at home instead of investing overseas. "I like her, I respect her," Trump told the Wall Street Journal. Only a few months ago, Trump said Yellen should "be ashamed of herself" for keeping interest rates low. He said she was just doing that to help President Obama. Now the president said he "likes" low interest rates and that he might even ask Yellen to stay on when her term expires in early 2018.